Philadelphia, PA — The fires that ravaged Fabric Row last April, claiming the life of a fireman and the loss of several buildings, have not deterred business owner Chelsea Pearce from returning to the space she calls home. Pearce’s Moon & Arrow has quietly re-opened just south of Fitzwater at 754 S. 4th St., solidifying its fundamental draw as a destination for Philadelphia design. Entering Moon & Arrow, shoppers are enveloped by a retail atmosphere that’s as eclectic as it is organized, as polished as it is rustic. This effortless quality, embodied by Pearce’s methodical merchandising, invokes the feeling of wandering into someone’s warm and glowing home. 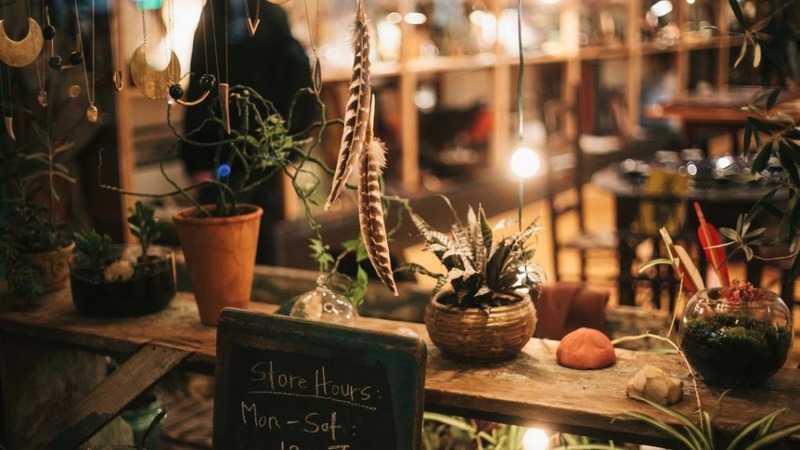 Indeed, some of the shop’s most noteworthy pieces seem to have made their way inside not by purposeful headhunting, but in just that way — naturally. Take the digestive bitters made by a comrade of Pearce’s and the soft, high quality textiles tie-dyed to perfection by a Fishtown-based friend or the albums by Birdie Busch, whom Pearce met when Busch was getting her start at open mic nights. It’s almost as if it were all meant to come under one roof. 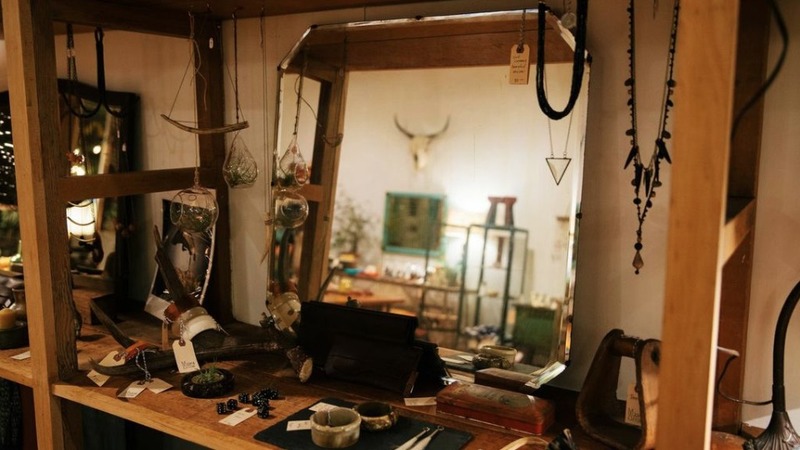 This organic feel manifests the same kind of magic Pearce channeled when she first started planting her roots as a successful popup shop two years ago. “The stars were aligned and everything was so easy […] the energy of that time and space is back,” Pearce says. After the fire, Pearce looked at other possible spaces for the store, but not a single one seemed right. Instead, she decided to stay put on 4th and “focus on healing.’ Judging by the number of pieces sourced from talented friends (and friends of friends) and by the stunning shots mounted on lightboxes adorning the store’s façade (all taken by her parents, both professional photographers), it becomes clear that during the store’s rebirth Pearce has, whether consciously or not, infused her space with those she cares about most. It’s a distinctly genuine feature that not many retailers can pull of but which Pearce has all but mastered. Moon & arrow puts forth a thoughtful, high-quality collection of items (randing in price from $5-$1,500) that boasts a delicate balance between new and vintage. Pearce has perfected the art of creating what she calls “vignettes” — wooden shelves neatly divided into sections that give off an “old school dry goods [or] supply store vibe” but in a highly sophisticated way. The technique results in an ever-evolving dialogue of fresh pieces posed in an almost diorama-like fashion, enabling each article to enhance the others as they all come together to tell a story. Handmade jewelry, one of Pearce’s specialties, is nested among specialty soaps and bath products; buttery-soft leather clutches, wallets, and totes by Cassie Jones neighbor walnut ink handmade by Kelly Nicholson; vintage teapots share space with cozy flannels, embroidered ponchos and cowboy boots; hand-dyed textiles curl up in carved rocking chairs not far from eye-catching moon cycle calendars (a favorite of Pearce’s) and tinctures, and tea towels– all at arm’s length. 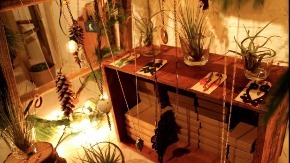 The shop offers a veritable garden of cohesive yet captivating juxtapositions.